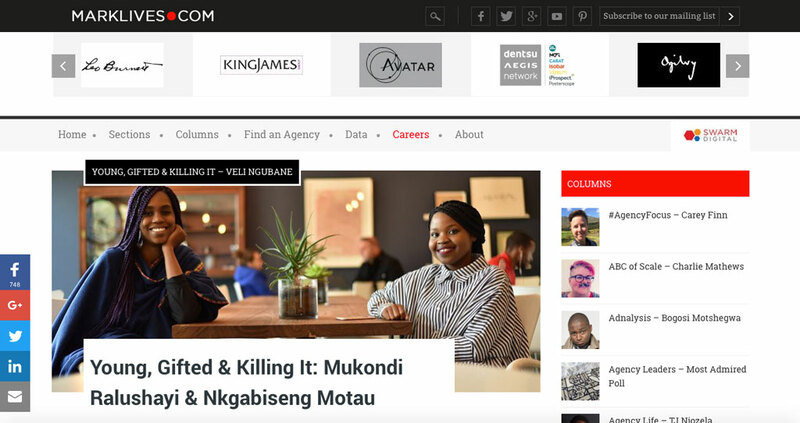 by Veli Ngubane (@TheNduna) In their four years in the ad industry, copywriter Mukondi Ralushayi and art director Nkgabiseng Motau have been involved in some particularly creative campaigns, such as the award- winning Share a Coke with Bobby TV commercial and an Old Mutual renewable energy social impact campaign. Adding to a great 2015, they even attended Cannes Lions! Now they’ve gone on their own and plan to keep killing it through their recently established creative hub, THINK.